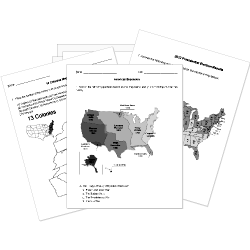 You can create printable tests and worksheets from these Grade 5 Africa and Middle East questions! Select one or more questions using the checkboxes above each question. Then click the add selected questions to a test button before moving to another page. By 1900, and were the only two areas in Africa not claimed by a European country. Why do we know less about African history than about English history? The English were not able to translate African texts. African historical documents were destroyed during numerous wars. The African tribes did not use writing to record their history. Shaka Zulu brought peace to many people in South Africa. What were many African captives showing by participating in mutinies on the slave ships? What European practice did a person act as another's servant for seven years and then was set free with a small amount of pay? Africa was known by many Europeans as The Dark Continent . Zaire is the largest exporter of industrial diamonds and cobalt. Zaire was earlier known as Democratic Republic of Congo.